Connecticut manufacturing is renowned for its innovation, quality, and value. 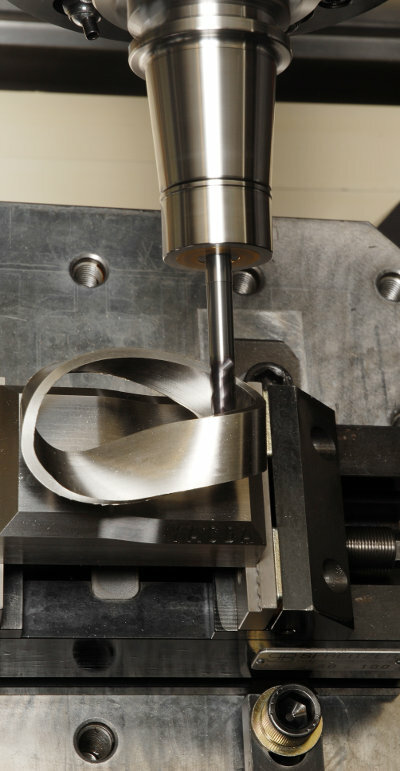 To help keep pace with state-of-the art product development and manufacturing technology, the Manufacturing Innovation Fund Voucher Program provides companies with access to capital to help them obtain new equipment and the expertise they need to become more efficient, productive, and competitive. Eligible companies can apply for vouchers up to $50,000 for the purchase of specialized equipment and expertise that will help improve operations, including marketing, LEAN, compliance, and other technical needs. Participating companies must pay half of the cost. A program of the Connecticut Manufacturing Innovation Fund, the voucher program is a partnership of the state Department of Economic and Community Development (DECD) and the Connecticut Center for Advanced Technology, Inc (CCAT). Must be a Manufacturer or Allied Service Provider (Allied Service Providers only include companies that physically interact with a manufactured good to alter the product - for example industrial Heat Treaters and industrial Platers). Must have a manufacturing facility in Connecticut or relocating operations to CT.
Must be registered for at least 3-years and currently generating revenue. 51% or more of the company’s revenue must be generated from the sale of goods the applicant manufactures or from allied services provided to manufacturers. Must have at least 3 full-time employees and fewer than 300 employees. Proposed project value must be at least $10,000. Must be operating in an appropriately zoned commercial area. Must not have received $50K or more from MVP program previously. Must be in Good Standing with both the CT Department of Revenue Services and CT Department of Labor at time of application submission. What are the eligible uses of funds? Other such costs that the Advisory Board and/or DECD deems eligible. What are the Manufacturing Innovation Fund Voucher Program requirements? Total project value must be at least $10,000. A third-party vendor or service provider must be used to execute the proposed project. Only projects that commence after submission of your application will be considered for funding. Companies that receive an award under this program will be required to complete an impact report 6 months following the project's commencement. A Budget Form for your project, included in the application packet. Evidence of the ability to meet the required funding match (i.e. bank statement, credit line availability, approved loan document, etc). You will be notified when your application comes up for review. Who selects the vendor or service provider? It is up to the applicant to select a vendor or service provider that is appropriate for the proposed project. Vouchers are awarded on a first-come first-served basis. Funding is provided in the form of a check. Checks are issued approximately 30 days following completion of the required award documents. Once your application is approved, vouchers are awarded on a first-come first-served basis. Am I guaranteed a voucher if my application is approved? Payment is subject to the availability of state funding for the program. Questions regarding the Connecticut Manufacturing Innovation Fund Voucher Program should be directed to ctmvp@ccat.us or by calling Paul Striebel at 860-282-4231.